How to get a service dog, find service dog training, testing and approved organizations, and how to interact with service dogs in public. Service dogs help people with specific tasks relating to visible and non-visible disabilities, such as epilepsy, PTSD, diabetes or mobility limitations. Guide dogs, however, are specifically trained to assist people who are blind or visually impaired. Both guide dogs and qualified service dogs have been trained and tested to ensure safety in public. By law, qualified service dog teams have the right to access any location where the public is allowed. Information about service dog handler rights, how to interact with service dogs and responsibilities for handlers and businesses. Get a dog from one of Alberta’s approved service dog organizations. Get your service dog's training tested to see if they are qualified to access public places with you. 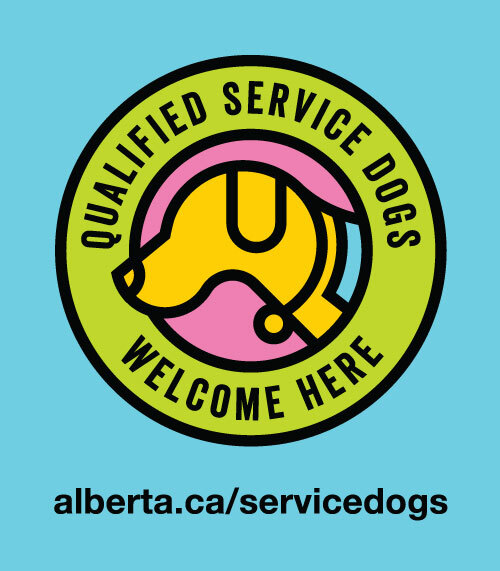 Apply to become a qualified service dog organization or get funding to help improve access to qualified service dogs for Albertans. 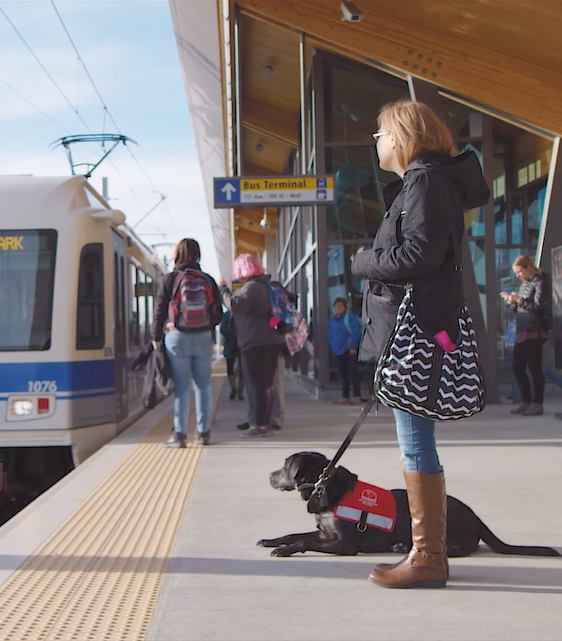 Show your business is welcoming and inclusive towards people with disabilities and service dogs by placing a Government of Alberta Service Dog Decal on your door or window. The many ways service dogs can help people with disabilities with their day to day lives.